Young kids will love getting to play with some of their favorite characters at Mattel Play! Town Dubai. 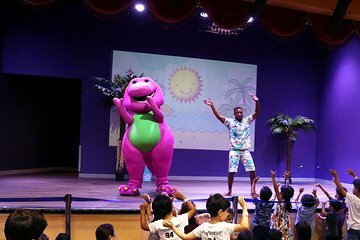 Learn the steps and dance with Angelina Ballerina; work as a team and get building with Bob the Builder; cooperate and make music with Barney; climb on the play structure and see the 4D movie with Thomas the Tank Engine; and get ready for action and navigate the maze with Fireman Sam.